PRINT WORLD No, sitting on a stoop isn’t new. And, no, sitting on a stoop ,with coffee isn’t new either. However, being models sitting on a stoop with coffee in classic Anthora cups shot by Bruce Weber for a spring ad campaign is new. Celebrating Webers’ love for the city of New York, the campaign in Barney’s windows and in print pages of magazines, ‘Our Town’ is about the love of ones relationship with New York. Doesn’t this image – female construction workers, Priscilla Gibson and Shantar Gibson with Ajak Deng, have coffee – more than represent the iconoclasm of this town where the Anthora became a cultural fixture as a stoop to a brownstone? This culture thinks not. Once upon a time Robert Mapplethorpe dreamed of having a coffee table book. His dream has come true in memoriam. Robert Mapplethorpe: The Archive looks at the creative process behind the photographer who became famous for his black and white polaroids and known for a cultural revolution among other things. During a recent book launch, Patti Smith spoke of his love for books and his “great dream … to have a big coffee table book.” Here’s to dreams coming true and the world getting more of the artist in archive form. The book here and an accompanying exhibition at The Getty and LACMA. 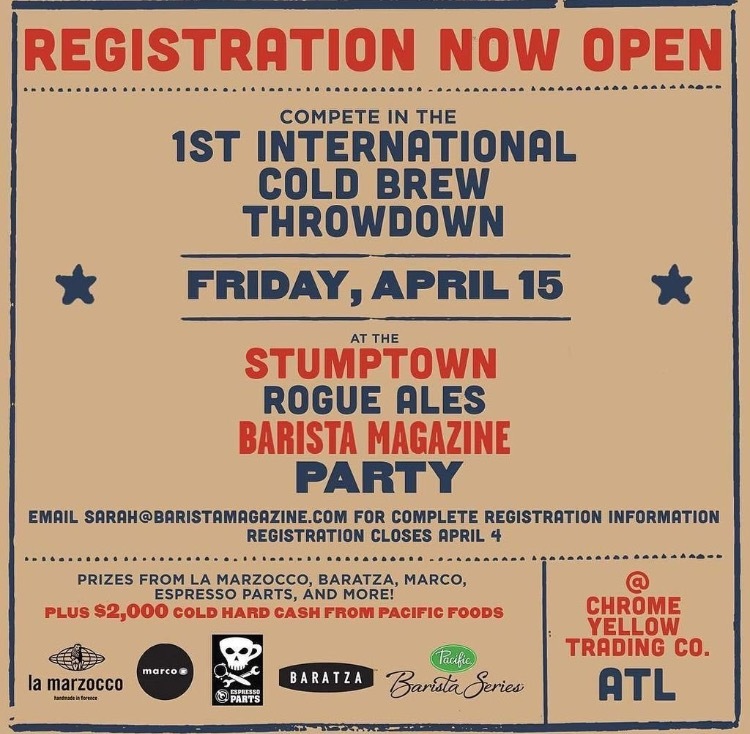 This entry was posted in current culture and tagged atlanta, barista magazine, barneys, bruce weber, chrome yellow trading company, cold brew, pacific barista series, spring, stumptown, throwdown. Bookmark the permalink.